Flexjet and Qatar Executive quickly lined up to be the launch customers for the new Gulfstream G500, which was revealed this morning alongside its larger G600 sibling during a ceremony at the aircraft manufacturer’s Savannah, Ga. headquarters. Qatar signed a memorandum of understanding today for up to 20 Gulfstreams, while Flexjet placed an order for 50 aircraft, including options. Fractional provider Flexjet placed a firm order for 22 Gulfstreams—10 G450s, six G650s and six G500s—and options for 28 more. Deliveries of the G450s will start in the middle of next year, with the G650s following in mid-2016 and the G500s in 2018. Notably, this marks the first non-Bombardier order for Flexjet. 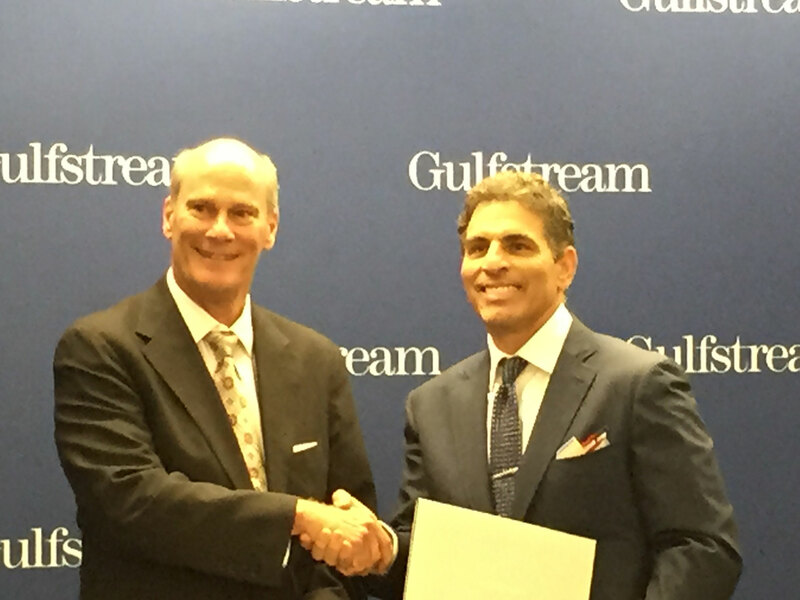 In addition, the two companies also inked an agreement under which Gulfstream will maintain the Flexjet Gulfstream fleet over the next 10 years. Values of these orders were not available at press time.